D&AD has announced its judging criteria for D&AD Awards 2019. The criteria has been introduced to bring a closer focus to each discipline and the nature of creative work according to category, to reinforce D&AD’s mission to recognise and celebrate creative excellent and empower the judges to award the best work. Specific criterias for Design, Crafts, Advertising and Film & Entertainment and Purpose have all been introduced to facilitate the best work to rise to the top in each category. Does the use of craft elevate the idea? Does it use creativity as a force for good? This follows recent innovations to the D&AD Awards programme to highlight the best of the modern commercial creative industries, including eleven reimagined categories to specifically represent the craft disciplines Animation, Casting, Cinematography, Direction, Editing, Illustration, Photography, Production Design, Sound Design & Use of Music, Typography and Visual Effects in addition to the already existing craft categories Writing for Advertising and Writing for Design. The Jury Presidents of the crafts categories will then form the Black Pencil Crafts Jury to better spotlight standalone crafts, allowing them to be judged in context at the highest and most prestigious level. For 57 years, D&AD Awards has highlighted and celebrated creative excellence, annually inviting more than 250 of the world’s greatest creative practitioners to judge the year’s finest work. The first deadline for entries is Wednesday 20 February. Entries will continue to be accepted through 13 March, but a 20% late fee will apply. 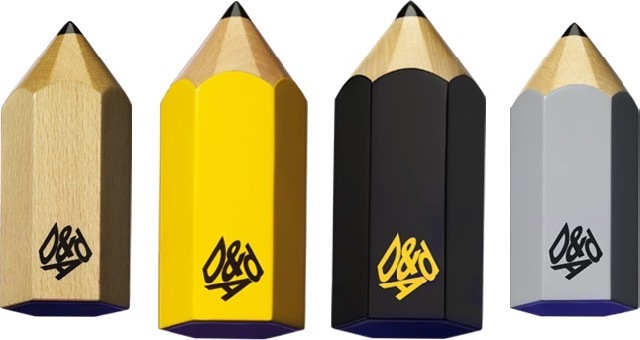 The D&AD Awards Ceremony will take place on the final day of the three-day D&AD Festival, which returns 21 – 23 May 2019 at The Old Truman Brewery, London. An exhibition of shortlisted and Pencil-winning work will be on display during the Festival. For this year’s Awards, D&AD has introduced a variety of innovations in order to reflect the breadth of talent and disciplines that fall within the creative industries. Across the categories, budding professionals can submit their work into newly formed ‘Next’ subcategories, a platform for emerging creatives, designers and crafts practitioners to showcase their individual talents. Further details on the Next category can be found at: www.dandad.org/next-awards. New for 2019 is the Side Hustle category, which has been introduced to reflect the increasing number of creatives applying their skills and personal passions to side projects. From creating new businesses to developing initiatives to address social and environmental issues, this category aims to spotlight world class creativity beyond people’s day jobs. More information on the Side Hustle category can be found at: www.dandad.org/side-hustle. The entry deadline for this year’s Awards is 20 February 2019. Full details of the new categories, as well as the Awards entry portal, can be found at: www.dandad.org/awards.